Ridgeview Ranch is a premier residential treatment facility for chemical dependency and dual diagnosis for men and women over the age of eighteen. Ridgeview Ranch offers a beautiful, safe and controlled environment, conducive to building a strong base for drug and alcohol addiction recovery and maintaining a clean and sober lifestyle. Ridgeview Ranch is located atop the city of Altadena, nestled between Los Angeles and the beautiful hills of southern California. Because of our proximity to the Jet Propulsion Laboratory in neighboring Pasadena, our clients enjoy the seclusion and peace of being in a no-fly zone. We offer a more intimate setting on serene grounds with horse riding, pool and spa, luxurious amenities, gourmet meals, and a skilled staff possessing decades of experience in helping people develop and embody the principles of drug and alcohol rehab. Ridgeview Ranch takes pride in offering top notch treatment at a luxurious setting while still being moderately priced. With our highly trained professional staff of therapists and counselors, we provide thirty hours of mandatory treatment per week that includes individual and group sessions, daily twelve-step meetings, family therapy, psychodrama, relapse prevention planning, art therapy, anger management, yoga and an extensive physical activity program based on each client’s needs and abilities. The reviews on here are odd. One saying that addiction is not a disease. Ridgeview was amazing and the treatment was top notch. A lot of support and therapy. Focus on the causes of addiction and engagement. Offered a medically supervised detox. This center, like all others, wants to convince you that you have a disease: Addiction. You don't. Addiction is not a disease. No one needs treatment, because they aren't sick. If you're looking for a program that works, you need an alternative to drug and alcohol rehab. This blog has been providing many essay service reviews and content writing services. Every review is provides best online assignment writing services in this website. That's very interesting to learn these online educational reviews. 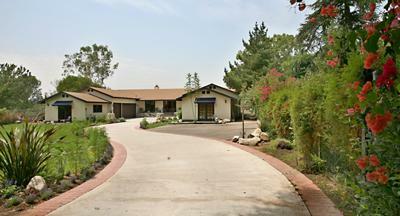 Ridgeview Ranch, Altadena, located near Los Angeles and the beautiful hills of southern California. If is an ideal place to take rest particularly with psychological problems as I learned from paper writer. I think it is expensive but it is worth for the money. Place like Ridgeview Ranch is really good for the people who are trying to quit alcoholism. A set of highly trained professional staffs are available at this Rehabilitation center which ensure better treatmentEHR solutions. Treatment is followed through systematic way. This center is one of the best places I've been to. They have the best counselors who actually know what they are doing. You have one-on-one sessions with them so they know how to truly help you. Everyone is respectful and nice. I think when they say "luxurious" I think they mean serenity. When you're there you feel like you can relax and FOCUS on your recovery in a peaceful environment. There is a chef that cooks home-cooked meals. There are daily activities like yoga, art, and equine therapy which was my favorite. I READ THE DISCRIPTION OF THIS TREATMENT CENTER, AND IT DISTURBS ME THAT THE EMPHASIS IS ON LUXURY VS REALITY. THE COLD TRUTH IS THAT PEOPLE WILL GO BACK TO THEIR OLD ENVIRONMENTS AND WILL HAVE TO FACE PREVIOUS CHALLENGES THAT CONSTANTLY CONFLICT WITH THEIR DESIRE TO REMAIN SOBER. BY PLACING THE EMPHASIS ON LUXURY, I FEEL THEY'RE NOT FORCING THE ADDICT/ALCOHOLIC TO FACE THE REALITIES OF REAL LIFE, NOR ARE THEY LEARNING THAT LIFE IS HARD AND THE FIGHT AGAINST THEIR ADDITION IS GOING TO BE A LONG, HARD ROAD LONG AFTER THEY LEAVE THE REHAB. I THINK THAT ADDICTS WILL NOT CHANGE IF THEY THINK THEY'RE GOING TO A RESORT-LIKE REHAB THAT BEARS LITTLE RESEMBLANCE TO THE LIFE THEY'LL FACE WHEN THEY GO HOME. I HOPE I'M NOT MISSING THE POINT OF THIS TYPE OF FACILITY.